Zero gravity chairs are designed to position the body in such a way that you will feel stress-free, weightless, and activated. These chairs will elevate your feet at the same level of your heart. This position will offer zero gravity and, they claim, reduce body pain and sore muscles (Source). It will improve blood circulation throughout your body to make you feel more active, energetic, and positive (Source). In this article, we will discuss all the aspects of zero gravity chairs with purchasing tips. First, let's take a look five of the best-selling models. SIMPLE AND SOLID CONSTRUCTION: Upgraded tube thickness 6/7 inch, making it stable and solid. 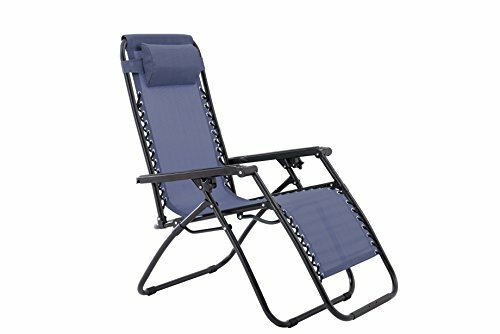 Durable and thickened iron pipe frame, Textilene Fabric removable / adjustable headrest and padded, super-elastic strands form the basis for this comfortable,350 pounds 0 gravity folding lounge chair. In order to give a full overview of this style of chair, we took a look at some product reviews from our favorite e-commerce websites to gain added perspective on their use. Examining the AmazonBasics option, it’s built with a bungee supported durable frame, employees textilene fabric, Integrates padded armrests and headrest, and folds up to be extremely portable. One person wondered whether the more expensive options were worth it, or whether they go with a cheaper price alternative. Buyers praised the AmazonBasic option saying that it offers a solid blend of features at an especially economical price. Other reviewers were curious about how to adjust the headrest. A reviewer responded that what you need to do is unlock the chairs positioning device beneath the front of the armrests. It’s best to do the unlocking when your tilted somewhat forward and not leaning into the backrest. A satisfied buyer provided a decent overview, saying that it is a classy option built with a rugged steel metal frame. While it isn’t especially lightweight, it’s pretty easy to transport over short distances. The fabric itself is actually a PVC coated polyester that is breathable and weather resistant. 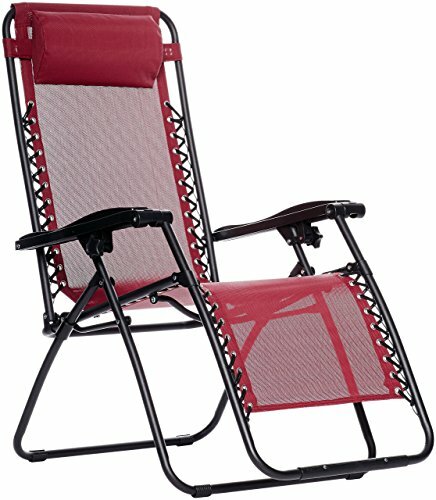 Elastic bungee cords secure the chair with the fabric through eyelets. This provides the chair itself a somewhat springy, comfy feel and easily transitions between upright and lying down postural configurations. Another buyer we spoke with says that they found the reclining, recumbent position to be especially comfortable- considering that this is an outdoor piece of furniture that was somewhat surprising. On the other hand, they also use it indoors, so they have noticed that if you are a particularly tall person, your legs will probably overhang the end. There was some negative feedback, however, with a buyer criticizing the quality of the build, saying that the bungee cords broke, with the material tearing off. Another buyer took issue with the zero gravity product description, saying this particular model does not recline back far enough to qualify as Zero Gravity. Another buyer was impressed that there aren’t any open ends in the metal frame, this means that water doesn’t accumulate inside and rust from the inside out. One criticism was that there’s not a locking mechanism to secure the chair into the recline position- there are tightening clamps that will secure it. However, the positive of this design choice is that you are able to adjust the chair to nearly any position and then tighten it so that you’re secured. This compares with ratchet style designs that give you only certain angles of recline to select. Another buyer said that while it isn’t the best option he’s ever purchased, it is the best outdoor chair he’s ever owned. He describes it as a sturdy and comfortable solution that is easily adjustable and easy to get in and out of. He says that, to his mind, you wouldn’t use it indoors, but on the patio and for excursions to the beach it’s an amazing option. Another popular model is manufactured by SunJoy. It comes in a variety of different colors colon burgundy, brown, blue, black, beige and gray. It features a lockable reclining system and an easy fold up process so that you can store it away or transport it. The way that recline works, you can actually control it with your feet. This particular model can accommodate individuals weighing up to 300 pounds. 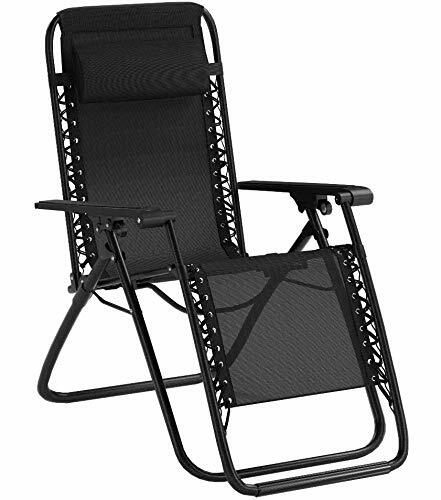 The chair itself weighs 15 lb and buyers say that while it is too heavy to carry to the beach, it’s a great yard furniture option for relaxing by the pool or accommodating guests around the fire pit. One reviewer said he purchased it for a family member to use at the campsite, hauling it in their camper van. They were looking for an option that would be sturdy, comfortable but not so heavy that it would preclude transportation. One drawback, if you’re over 6 ft tall, some buyers warned that you’re not going to have a comfortable experience using it. 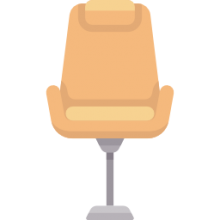 In particular, your feet are definitely going to overhang the bottom of the chair, where the bottom bar bulging onto the ankle, which reviewers found uncomfortable. That said, another reviewer wrote that they have a family member who is taller than 6 foot 2 and weighs over 250 lb who loves it. So it will really come down to your specific dimensions, whether you find it a comfortable experience or something less than that. Another reviewer who lives in a warm climate purchased it for sunbathing purposes. They said it was a comfortable space to enjoy reading a book outdoors and they even ordered a tray that attaches so that you have an area to store your drink, for example. As stated above, these chairs will offer you a position where there will be no force of gravity on your body. It will ensure equal distribution of your body weight. These chairs are very reliable since the zero gravity technology was an invention of NASA. This position is taken by astronauts during liftoff in space missions. No gravity position is used to avoid the sudden pressure and stress during an immediate increase in gravity. 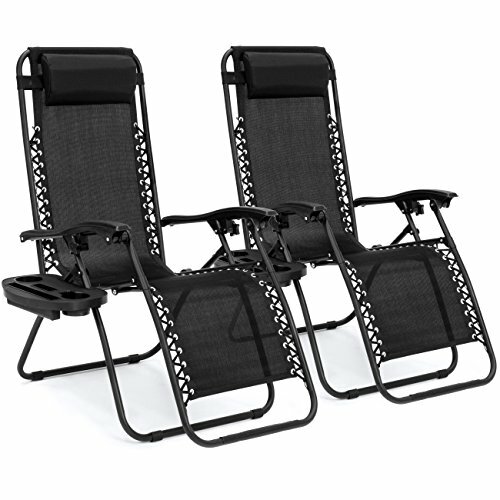 In zero gravity chairs, all the positions are secured by a safe locking mechanism. It will help users to find the desired position without any difficulty. These chairs are made both for comfort and to reduce physical and mental stress. If you are suffering from back and neck pain, then these chairs can come to your rescue. Besides, these chairs come with many stylish designs to enhance the look of your living room. The key benefit of these chairs is that you can use them for multiple purposes. You can use these chairs at your office or home depending on your personal needs. In your office, you can use it as a normal chair. Whenever you feel that your body needs relaxation, you can use the locking mechanism to get the desired position. The controlling will be very easy. All you need to do is to set your chair in a position that you find comfortable. Once you get the position, there will not be any other requirement. You will find it easy to control and user-friendly. If you are in deep pain, you can use the no gravity position, you will certainly feel better. No gravity position means you will have to bring your feet to the same level of your heart. You will get a no gravity position that means you will have a weightless body. You will not feel your weight and body pain. This position will make your body light as if you are floating in the air. It will also help to relieve stress. In brief, you will get a position that will offer comfort and relaxation. If your legs have a swelling problem, then these chairs can be a great help. In this position, your head, stomach, and feet will be at the same level. It will improve blood circulation. The improved blood circulation can help you in many ways. There will be no back and body pain. Your heartbeat will be happy as well. 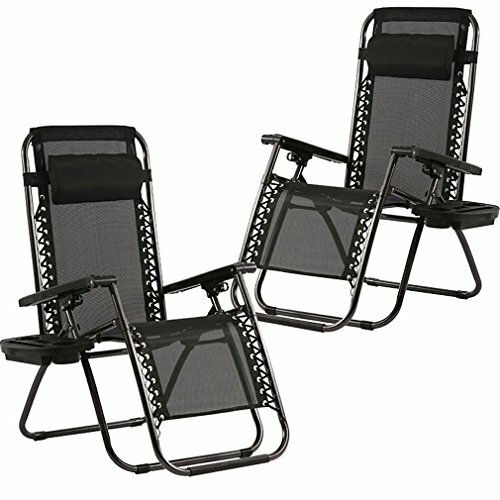 You will have to consider a lot of things while buying a zero gravity chair. The first thing will be your budget. The price will vary significantly depending on the features and facilities. With a flexible budget, you can expect all the developed features. The next thing is the usages. You should know the usages before deciding on one. Though all these chairs are made to offer a no gravity position, still, you need to know the usages to ensure durability and best performance. Once you have your budget and usages in your mind, the next step will be the features. You should buy a chair that offers stability regardless of position. You need a balanced position to enjoy your sitting and to maximize the benefits. In addition to stability, you will have to focus on quality. You should buy a chair that you can use for a long time with a little maintenance. It needs to be sturdy. The frame should be made to withstand harsh weather conditions and the mesh needs to be sun resistant. 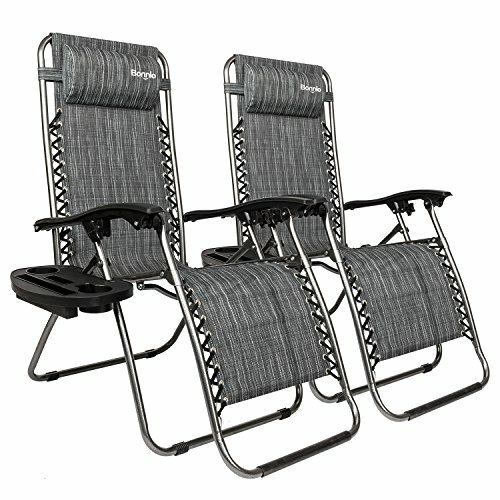 These things are essential if you are planning to use your chair outside. You should also know the weight capacity to ensure that you are buying the right product. Make sure that the lock mechanism is working well. Otherwise, you will not get your desired position. Moreover, the setting needs to be simple and user-friendly.